It so much fun coming up with new cufflinks for my husband. The fact that I could use it as an entry for So You Think You're Crafty makes it all the better. Have you seen the price of a pair of cufflinks? The price tag, huge! It's hard to find a decent pair for anything less than $50. When I discovered that you could buy the blanks to make your own, I jumped all over it. I bought two bunches of the blanks, the flats and the recessed cufflinks. All of them were very easy to make. 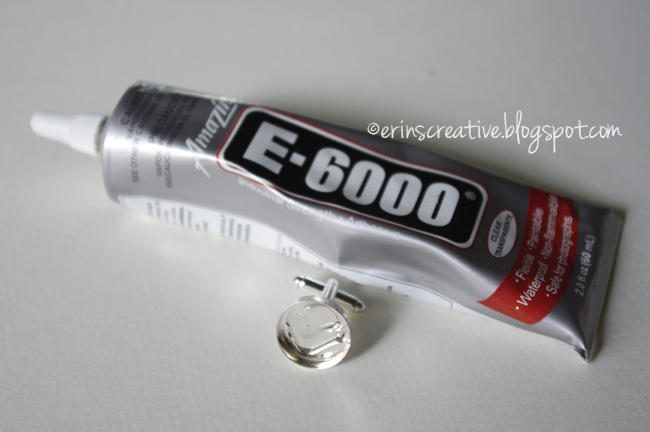 Each pair I did use E-6000 glue, I will break down everything else that was used for each pair. I will start with the baseball cufflinks. 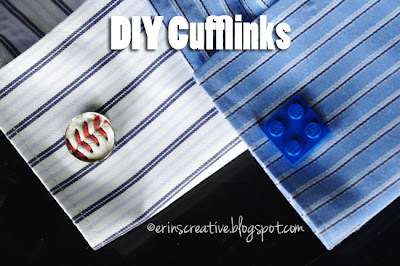 Needed is a pair of recessed cufflinks, your glue, a marker, scissors and a utility knife. Place your cufflink on top of the ball face down, mark around your cufflink. Cut out your circle with your utility knife. 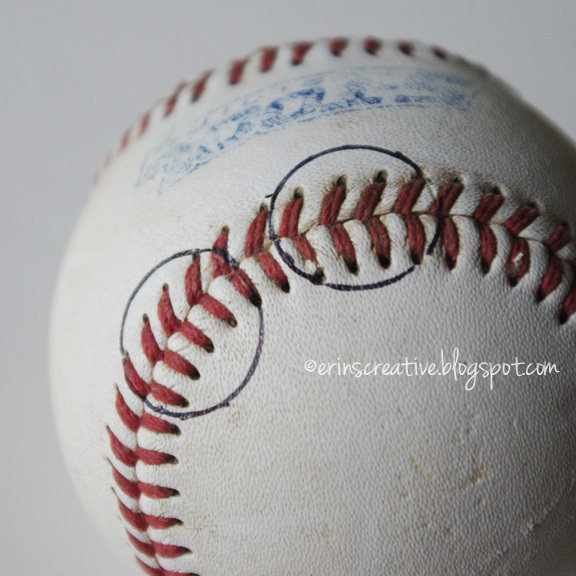 Once cut, take the edge and peel up your circle baseball pieces. They are glued down, but it didn't take much to get them to come up. You will need to trim up the edge a little bit as they will be over-sized. Cut a little at a time until you get the perfect fit. 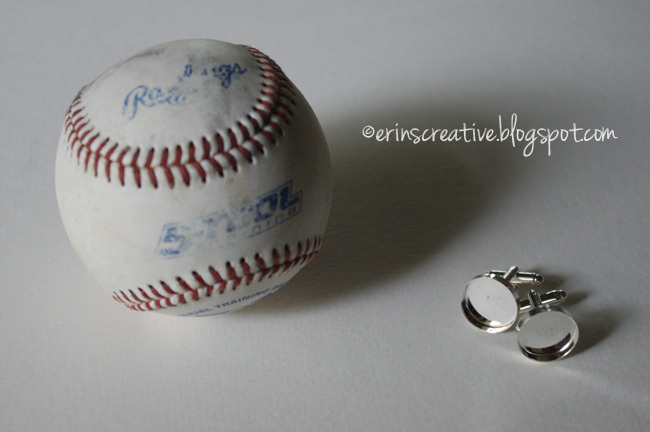 Place enough glue to cover the bottom of your cufflink, then place your baseball circles in there, taking special care to make sure that your stitches do not pop up. Once the glue is dry, gift them up for your husband/dad/uncle, etc. 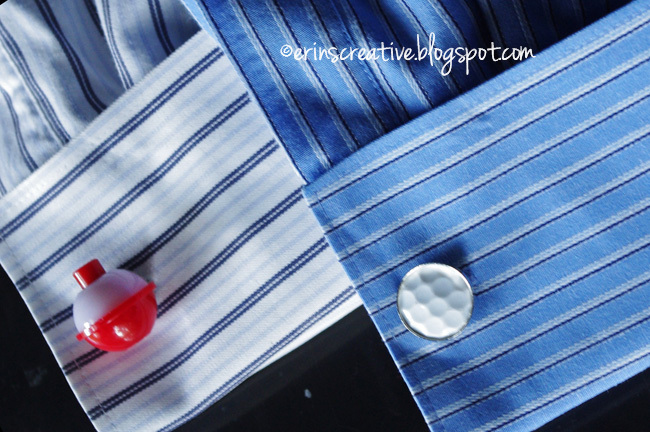 The golf cufflinks are a little more complicated, but very doable. You will use all the same items that you did for your baseball cufflinks, but will need to include a bandsaw and sand paper. Your initial cut will be made with the bandsaw. Make sure you make your cut based on depth, not on diameter. 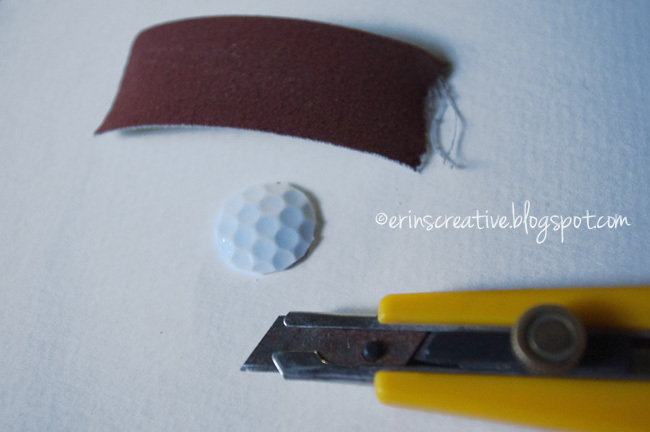 Once your cut is made, mark your circle from the cufflink in the center of your cut. Either cut it out with a utility knife or scissors. 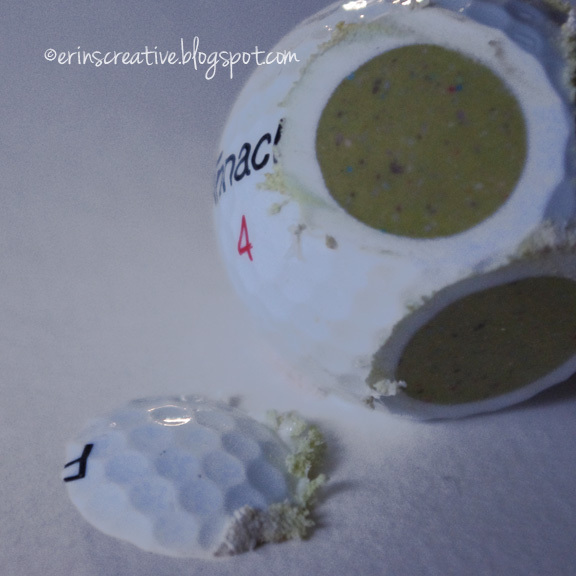 Once you get it close, you will want to shave the edges down with your sand paper. I used 150 grit sandpaper. 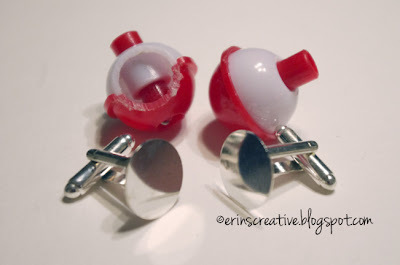 Once you have them sized to fit your recessed cufflink, layer it with some glue and place it in. Clean any glue that might seep up from the side and once dry, gift them up! The fishing cufflinks required flat cufflinks, glue and the bandsaw. I cut the diameter of the bobber to match the top of the cufflink. Then I glued it down. That is it! Easy peasy! The only simpler one was the lego cufflinks. All that required was a flat cufflink and glue. In all seriousness, each pair of cufflinks broke down to less than $3. That's for the pair! Take that stuffy men's store that overprices these things! Is anyone out there in blog land going to be making some cufflinks? Is my husband the only one that wears them? Any good ideas for some fun quirky ones that I haven't made? Such an awesome Father's Day gift! 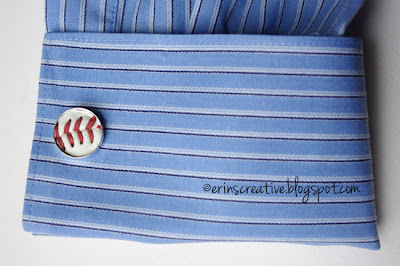 I've included it in my roundup of best Father's Day crafts for the Dad who's a sports fanatic :) Love your site btw! 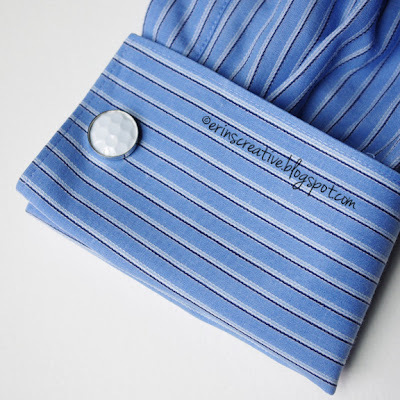 Personalized Cuff Links I am thankful to you for sharing this awesome article. awesome cufflinks! Awesome... Informative article. Please publish some more such articles for cufflinks Lover...!! !